We have just launched the all new website for the Manchester based Voice Over IP (VoIP) telephony company, Packnet. 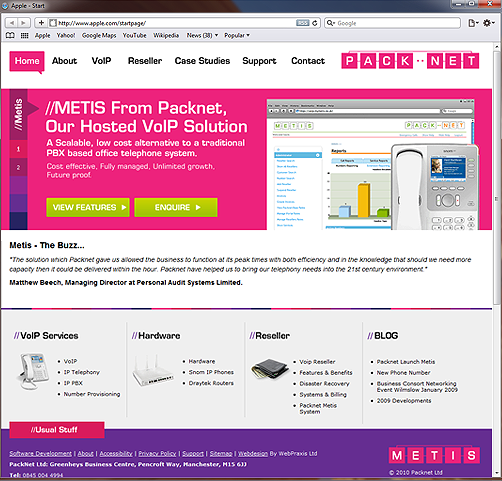 Packnet’s new website has been created to showcase Metis, their successful hosted VoIP product. We have worked closely with Packnet and SEO company Pushon to deliver a website focussed on lead generation, increasing sales for Packnet’s VoIP product – Metis as well as raising their profile in the major search engines.